ABC will finally switch its primary channel to HD in December, with a full schedule in HD by December 31st. But the move comes six months after ABC initially pledged HD availability. “We said we would be HD ready by mid year but we didn’t actually specify a time. We will make it just before the end of the year. 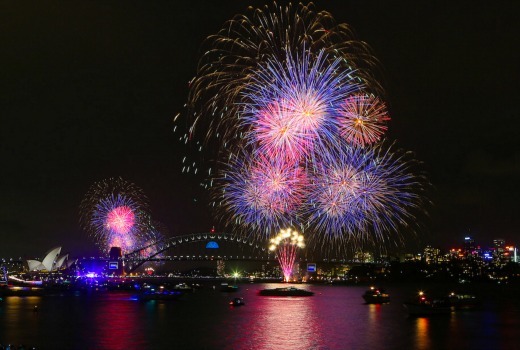 We will be HD from December and the first major TV event in HD will be New Year’s Eve fireworks,” Richard Finlayson, Director of TV told TV Tonight. ABC is mindful that it has many viewers who will need some technical advice as it switches to HD. “There’s a rollout that will happen and a number of people will probably have to adjust their sets. Once completed this will leave Seven viewers in Sydney, Brisbane and Perth as the only primary channel not available in High Definition. Viewers will have to wait a little longer for iview to switch to HD. “We’re working on it,” Finlayson said. It’s been far too long coming. Hopefully they’ll go Mpeg 4 and not chicken out like Seven did with Flix. Just saw an ad on ABC for NYE fireworks in HD and it says TVs must be MPEG 4 compatible so that’s good news. So little ol 7 is the last one to be in HD. Come on 7 get your act together. You keep bragging that you’re the best channel. Great news. As I understand it, ABC’s main channel was due to go HD mid-year but because of the major technical demands of switching the WIN and Southern Cross Austereo regional TV affiliations at about the same time, there simply weren’t enough techies to go around then to allow ABC to switch its main channel to HD. So, for viewers in many regional areas of Australia, that means we will be able to watch all free-to-air primary channels in HD except Seven affiliate Prime7. That is unless it decides to add a Prime7 HD channel (and also hopefully 7flix) when Prime’s channels start being played out by Media Hub, reportedly from December 1. Let’s hope so. Great news. I just hope they increase the quality from ABC News24 as its headlines running across the bottom of the screen are always blurry unlike 9HD and TenHD. So many questions…will it be 720p? 1080i? Mpeg 4 or Mpeg 2? Dolby Digital 5.1 audio???? Yeah , just make ABC 2/3 24/7 as well !!!! So “mid year” is anytime between 12.01am on the 1st Jan and 11.59pm on the 31st Dec then. Seven is not in regional with the exception of Seven Qld, which I believe has 7mate in HD. Otherwise it is a question for Prime. I would be quietly confident ABC will be HD in regional. Brisbane Times reported this in their extension report last night! About time Aunty!!! So no word whether its Mpeg 4 David? No… tricky enough to pin down this date. – does that suggest MPEG2? Introducing a new channel will reduce the bandwidth/quality of the other streams All the other FTA HD channels are using 1080i MP4 with a SD simulcast in MPEG2. I imagine the channels will be 2 & 21 ABC in SD, 20 ABC HD, 22 ABC2/kids, 23 ABCMe, 24 News – and no 24 would not be in HD as well (not that you can usually tell it is HD now). Already left out of Seven primary channel. ABC will be HD. Those cities are left out so they can show the AFL on 7mate in HD. In Perth the friday night game starts at 5.50pm. The same time as the news. With the next AFL game on March 23, 2017, Seven should be in HD for all markets now until then and/or until they sort out HD break aways or something for the AFL games in Syd, Bris and Perth. Add regional Qld to the areas where 7 is still not in HD. Awesome news. In the last year I only watched ABC content on Netflix, because of the lack of HD on ABC’s broadcast and iView. Now if they can also release the iView app for the 3rd Gen Apple TV, I’ll be really happy! Highly unlikely considering the 3rd Gen is now a discontinued product. Does it affect ABC News24? Or will that remain in HD? ABC News 24 will become an SD channel. It says a “full schedule” in HD – I wonder if that means the state based 7pm news. And I wonder if that means field reports as well as studio cameras. I would imagine all of this is filmed in HD now, in fact I’m pretty sure it is because I have seen Adelaide based reports repeated on ABC News 24 and the quality looked much better.